After a contentious public hearing last week over a proposed zoning amendment for the Butterfield Hospital property, Garrison resident and developer Paul Guillaro has suspended plans for his hotly debated project. The amendment would have sped the p… Please login below or purchase a subscription to the Putnam County Courier to access this content. Putnam Humane Society President Michele Dugan checks on 15 of the caged cats rescued last week from a hoarder’s house in Mahopac. 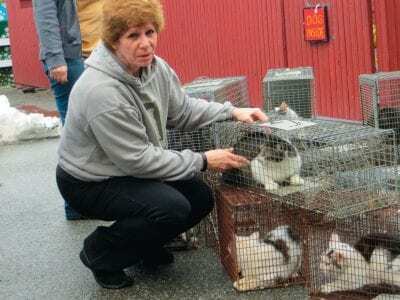 Carmel Animal Control Officer Crickett Dyckman had seen worse, yet the inhumane conditions of 57 cats being kept i… Please login below or purchase a subscription to the Putnam County Courier to access this content. Former Brewster Police Officer Pat Frezza, who last year fired three rounds from a .45-caliber handgun inside his Mahopac home following a dispute with his wife, has been sentenced to 18 months in jail. The incident happened in March when a 9-1-1 di… Please login below or purchase a subscription to the Putnam County Courier to access this content. Assemblyman Steve Katz addresses the audience; Sen Terry Gipson is at right. They’re pushing for action where Pudding meets the Taconic. 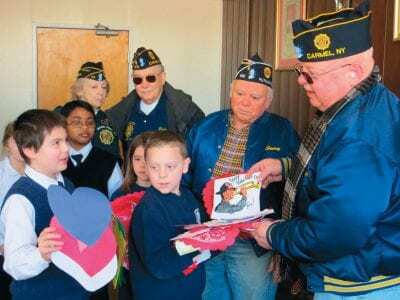 On Jan. 31, Putnam Valley Town Hall hosted a rare, weekday afternoon press conference to push for the build… Please login below or purchase a subscription to the Putnam County Courier to access this content. Brewster’s Garden Street School closed its doors last June and the future of the historic building is now in the hands of the Brewster Board of Education. Wednesday night, representatives of the school district met with the Brewster Village Board to… Please login below or purchase a subscription to the Putnam County Courier to access this content. Above: EMS personnel aid the two victims of Monday’s crash on Seminary Hill Road in Carmel. Photo by Eric Gross A young Carmel couple was seriously injured Monday in a single car crash on Seminary Hill Road in Carmel. Carmel Police identified t… Please login below or purchase a subscription to the Putnam County Courier to access this content. The Putnam Cycling Classic is pedaling ahead, with any concerns from last year’s rocky debut assuaged by this year’s detailed planning, thorough maps and coordination with the Cold Spring business community. Cold Spring trustees approved… Please login below or purchase a subscription to the Putnam County Courier to access this content. 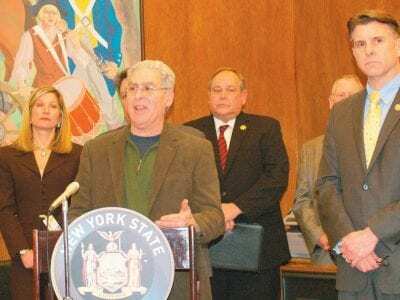 Putnam County officials say the county’s been vindicated for not releasing gun license information, after an appeals court ruled unanimously that a lower court was incorrect in ordering the NYPD to release the home addresses of city handgun licensee… Please login below or purchase a subscription to the Putnam County Courier to access this content. 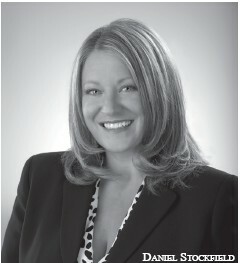 FROM THE CHAMBER Putnam County has been known as the home of one of the Hudson Valley’s largest and most diverse regional business showcase events for nearly a decade. After a one-year hiatus, the 2013 edition promises to be the best and perhap… Please login below or purchase a subscription to the Putnam County Courier to access this content.